UPDATE: This giveaway has ended. Thank you to everyone who entered! Even if you didn’t win this one, you can still use coupon code mushrooms4me10 to save 10% when you buy a kit directly from Back To The Roots. There are few things cooler than a science project you can eat. Back To The Roots Ventures (abbreviated “BTTR Ventures,” which is then pronounced “Better Ventures”) was founded by a couple of smart guys who figured out how to take used coffee grounds (courtesy of Peet’s coffee) and use them as environmentally-friendly soil for growing gourmet oyster mushrooms. Their sustainable startup is thriving, just like their mushrooms. This year alone, they’re on track to collect, divert, and reuse 1,000,000 pounds of coffee grounds on their urban mushroom farm in Oakland, CA, and in their home “DIY” mushroom kits. Yup, that’s one million pounds of discarded coffee grounds that would have otherwise gone into landfills. How great is that? 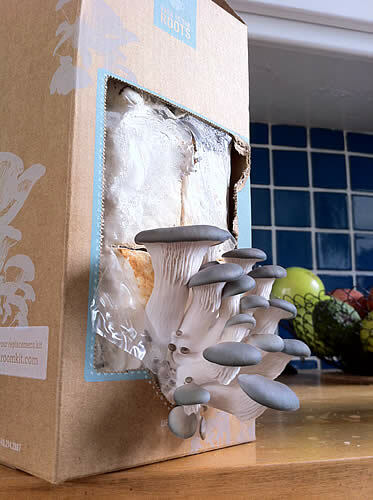 Growing your own mushrooms with one of their kits couldn’t be much easier: First, tear open the side panel on the cardboard box. Next, cut two slits in the plastic bag. Finally, mist it with water twice a day with the included spray bottle. 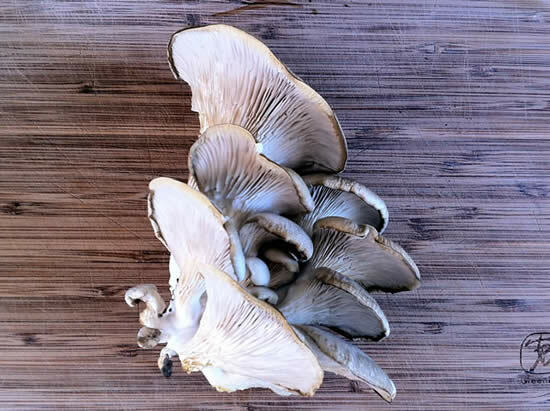 A fresh crop of oyster mushrooms will (miraculously) appear within just a few days! Once you harvest your first batch of ‘shrooms, you can spin the recycled-cardboard box around and do it all over again — gracing your kitchen with up to a pound and a half of mushrooms from just one kit. I have to admit, I’m geeking-out pretty hard for these kits. I ordered one for my nephews, and then connected with Nikhil, one of the company’s founders. After seeing just how excited I am about their product, he offered to send a free DIY Mushroom Kit — worth $20 each — to two lucky Eating Rules readers! He’s also shared a 10% discount to anyone who wants to buy a kit directly from them; just use coupon code mushrooms4me10. To enter, simply “Like” both Eating Rules and Back To The Roots on Facebook. Then leave a comment to let us know you’ve done so! On Tuesday of next week, I’ll pick two winners at random from the comments. Leave a comment on this post, confirming that you’ve liked both pages. That’s it! Two winners will be chosen at random from the comments left on this post by 11:59pm PT on Monday, June 27th. In order for an entry to be valid, the winner must be a fan of (“Like”) both the Eating Rules and Back To The Roots Facebook pages at the time of the drawing (sometime during the day of Tuesday, June 28th). (You can “Unlike” either page after that, if you wish). If you’re the winner, you’ll need to email me your mailing address (no PO boxes, sorry) and phone number within three days, else I’ll choose another winner. 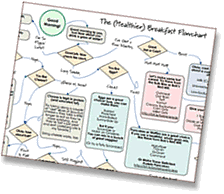 I’ll then pass along your info to BTTR Ventures, and they’ll ship your mushroom kit right to you! If you include a link in your comment to your own blog or site, I’ll consider that spam and delete your comment, sorry. Of course, please do enter your site’s URL in the “website” field on the form. This giveaway is open to U.S. Residents only, since we are limited to shipping within the U.S. Odds of winning will depend on the number of entries received. Offer void where prohibited by law. Your mileage may vary. Thank you to Nikhil Arora, Back To The Roots, and everyone who enters! Full disclosure: Other than a free mushroom kit to try out, I have received no compensation for this giveaway. I’ve already liked Eating Rules on FB. I just liked Back to the Roots. This is AWESOME! I liked both on facebook. Love this idea. It seems like such a fun, easy way to grow mushrooms! I want I want I want! Love Fungus in a box!